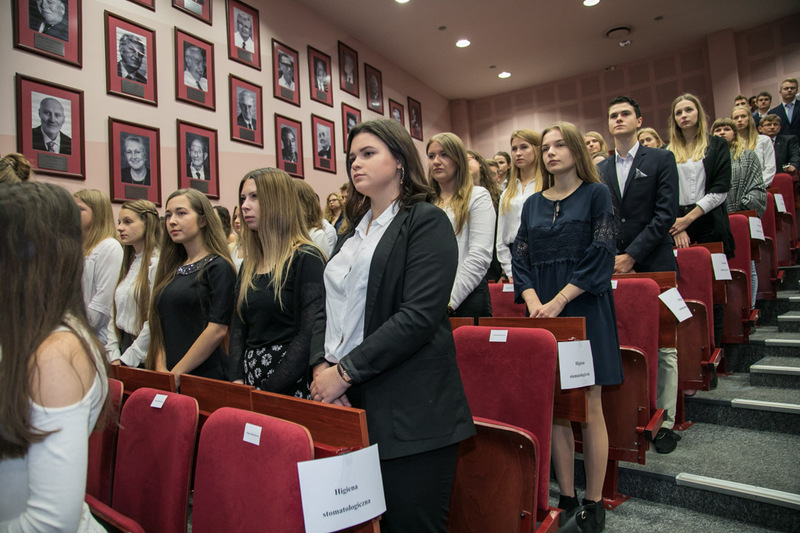 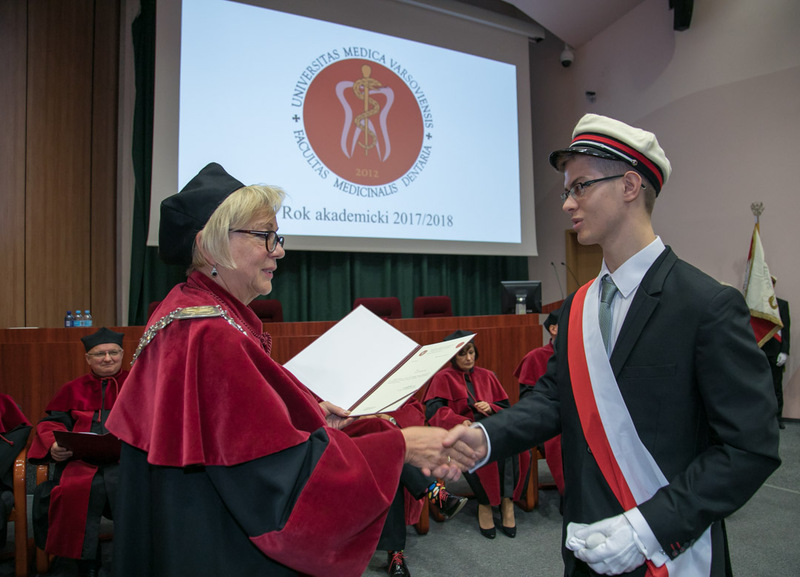 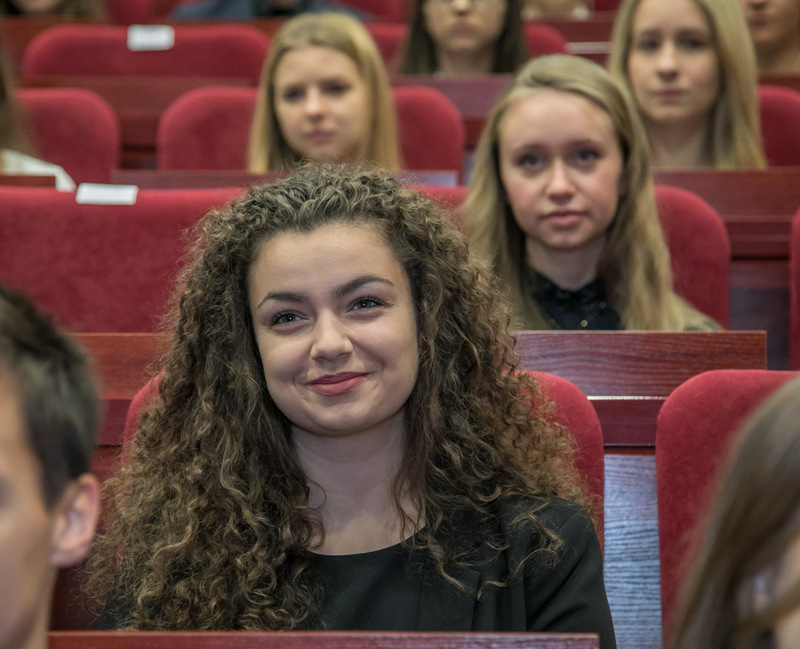 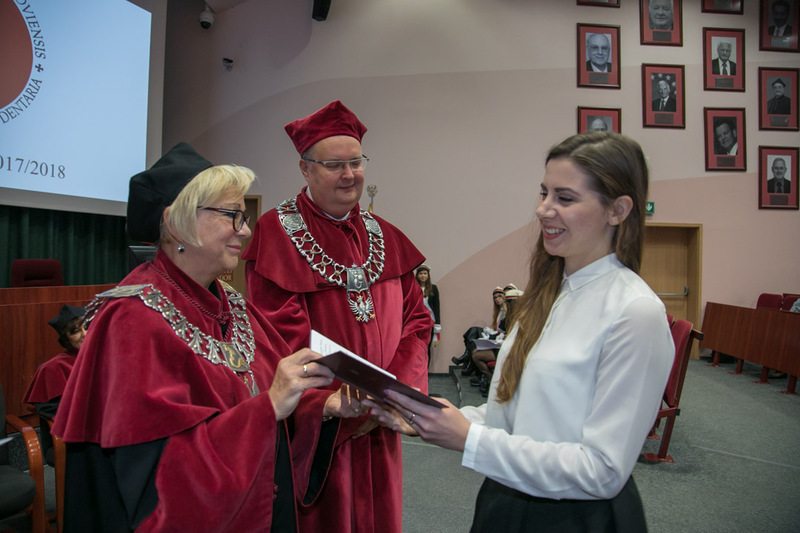 On October 10th, Prof. Elżbieta Mierzwińska-Nastalska, Dean of the Faculty of Medicine and Dentistry presided over the matriculation ceremony of students and doctorates beginning their studies at the youngest faculty of the Medical University of Warsaw. 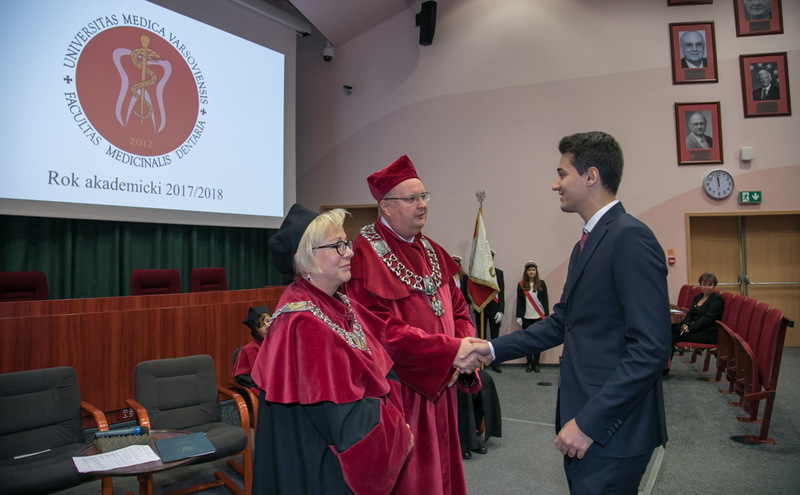 Tuesday was the official start for first-year students admitted into the Medicine and Dentistry program, the Dental Technology program, the Dental Hygiene program, the English Division Dentistry program and Listeners’ Doctoral program. 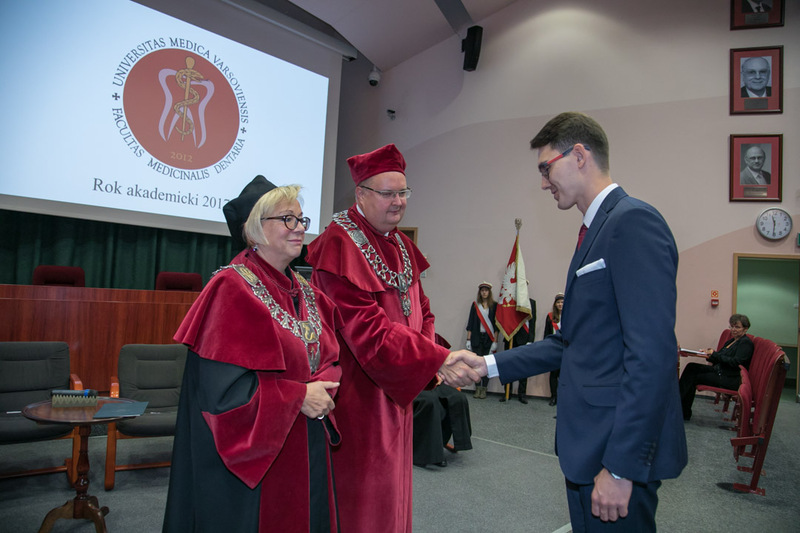 Prof. Krzysztof J. Filipiak, Deputy Rector for Internationalization, promotion and development represented the Rector at the ceremony and all faculty deans were present: Prof. Dorota Olczak-Kowalczyk, Deputy Dean for Educational Affairs; Prof. Michał Ciurzyński, Deputy Dean for Sciences; Prof. Kazimierz Szopiński, Deputy Dean of the English Division and responsible for International Cooperation; and Prof. Sylwia Słotwińska, Head of Doctoral Studies. 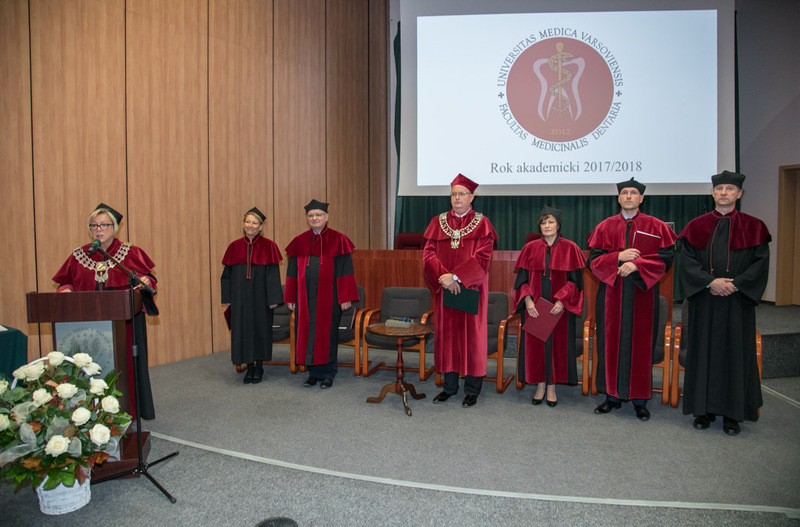 Representatives of all departments and council presidents responsible for first year programs at the Faculty of Medicine and Dentistry also attended the matriculation ceremony.. 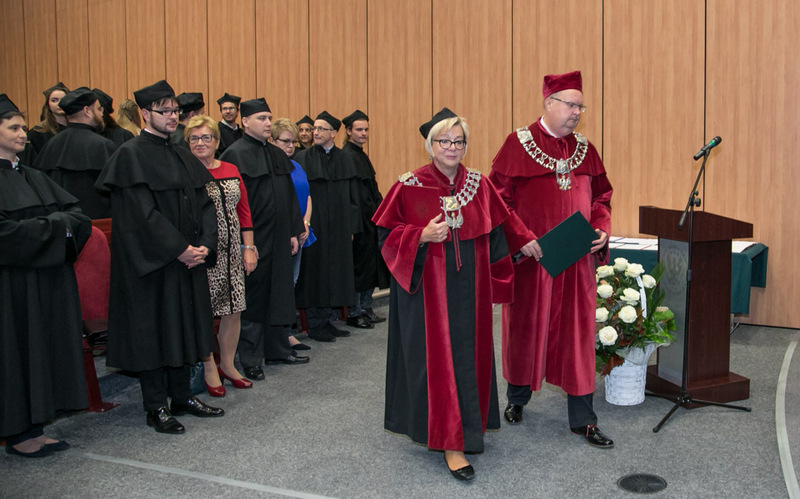 In her inaugural address, Prof. Elżbieta Mierzwińska-Nastalska expressed her esteem for the students who were accepted into the Faculty’s programs. 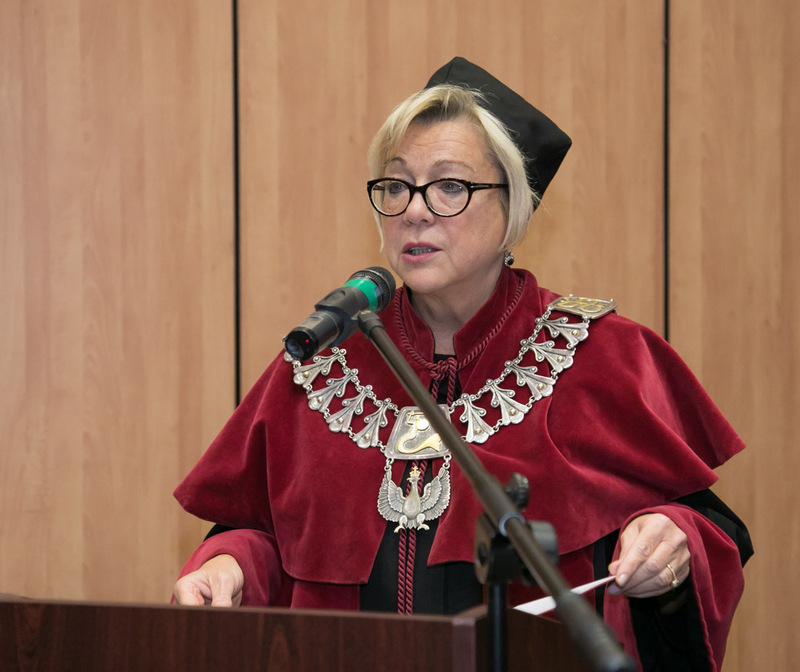 She said their success was no doubt owed to their hard work. 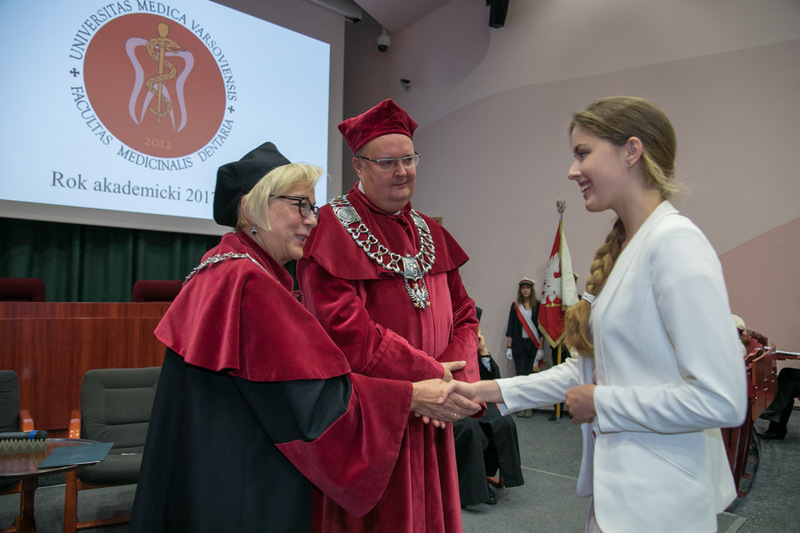 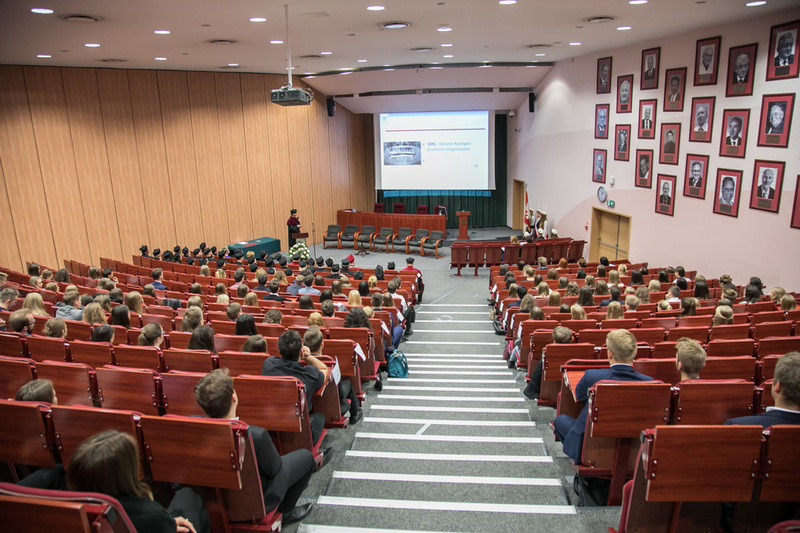 Prof. Elżbieta Mierzwińska-Nastalska also assured the students that the Medical University of Warsaw is one of the best in Poland and that, although still a rather new faculty, the Faculty of Medicine and Dentistry has already a well-established brand and holds a strong position in teaching. 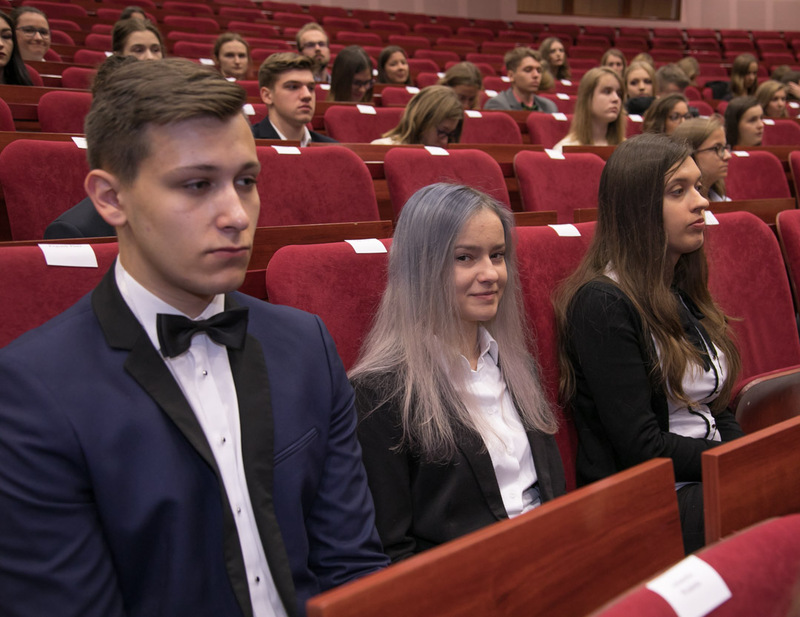 Proof of this are the Faculty’s high position in prestigious rankings and students’ very good results in the final exam. 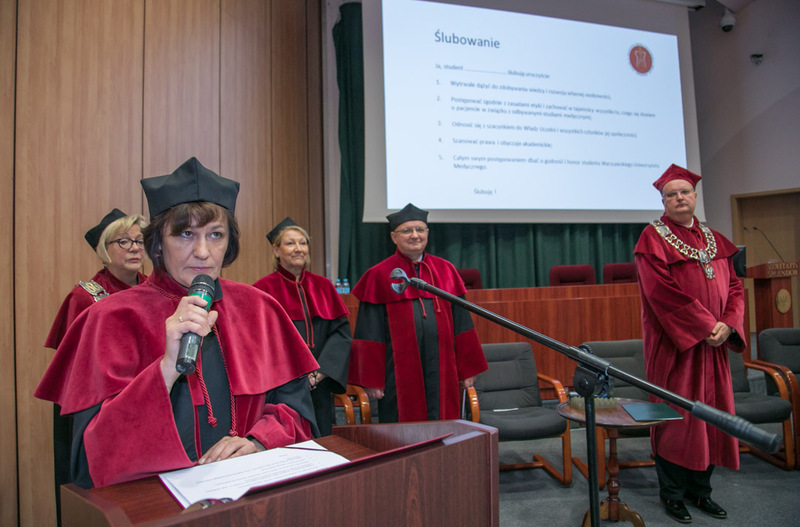 Prof. Elżbieta Mierzwińska-Nastalska explained that the University not only provides students with quality academic teaching but also with excellent infrastructure such as the planned construction of an University Dentistry Center. 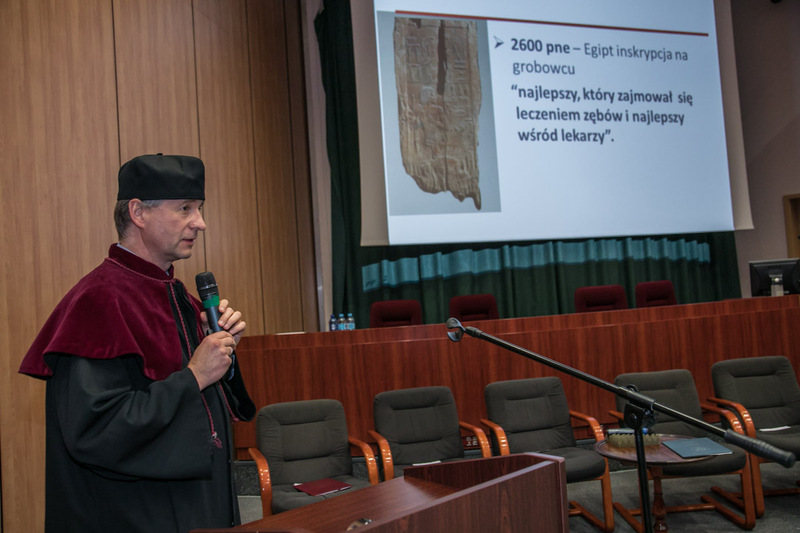 In his speech, Prof. Krzysztof. 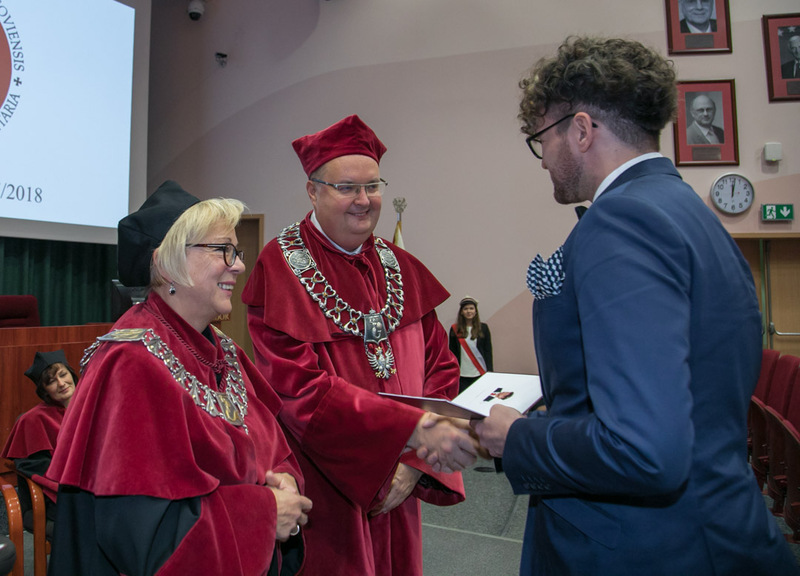 J. Filipiak underlined the Faculty’s successes and achievements and explained that, having been admitted to this University, students joined a community that is ambitious, open and supportive of research. 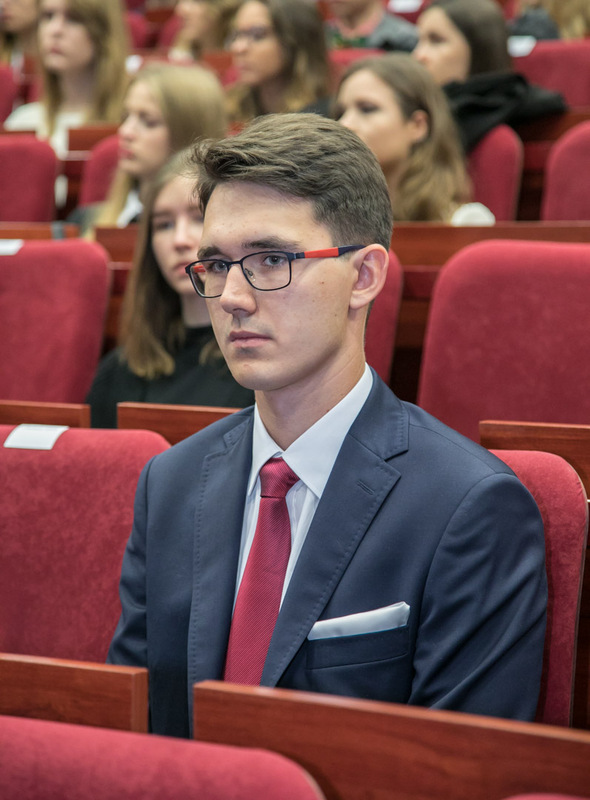 This community, he continued, is made up of people who love what they do and who are open to sharing their knowledge and experience. 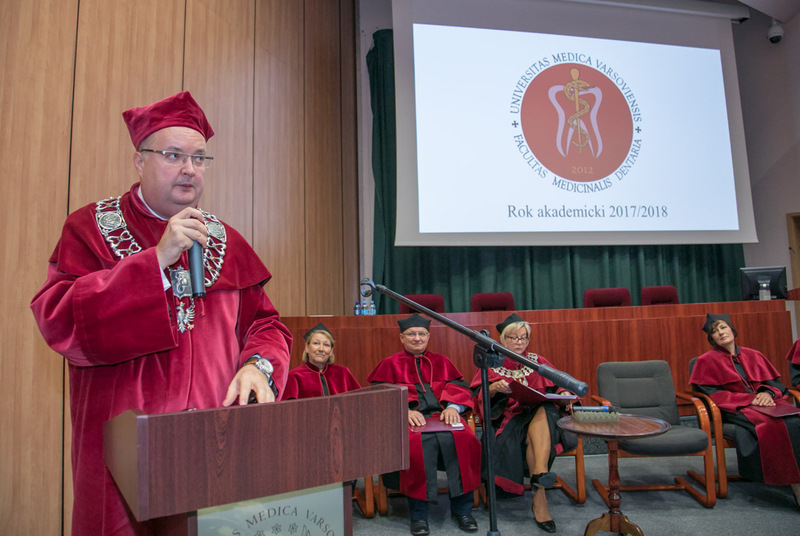 The Deputy Rector assured the students that the teaching staff are not only excellent scientists - like the 100 professors at MUW who have the highest rankings in scientific publications – but they are also wonderful teachers and doctors who treat patients on a daily basis. 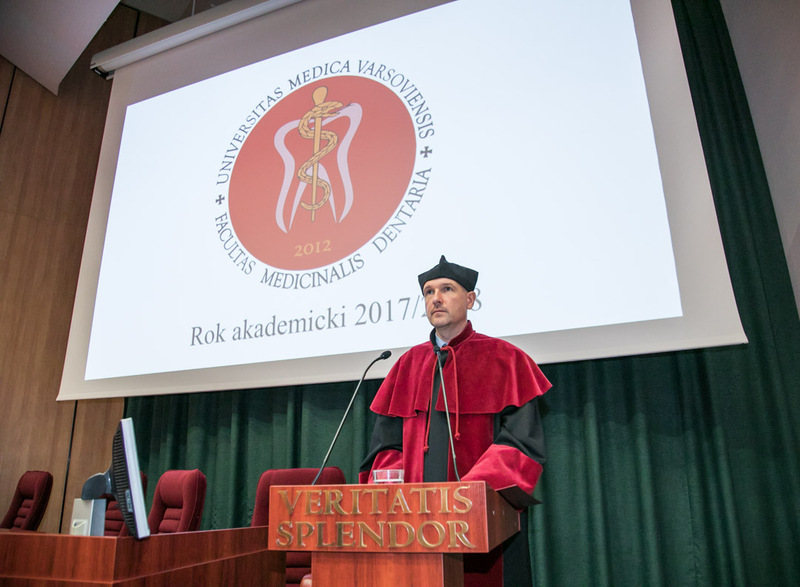 Prof. Krzysztof. 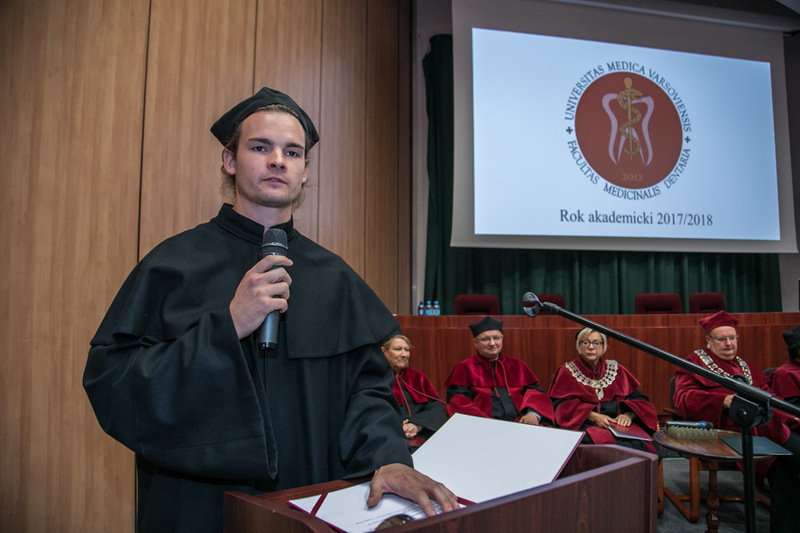 J. Filipiak ended his speech by wishing the students many moments of happiness, satisfaction and lasting friendships. 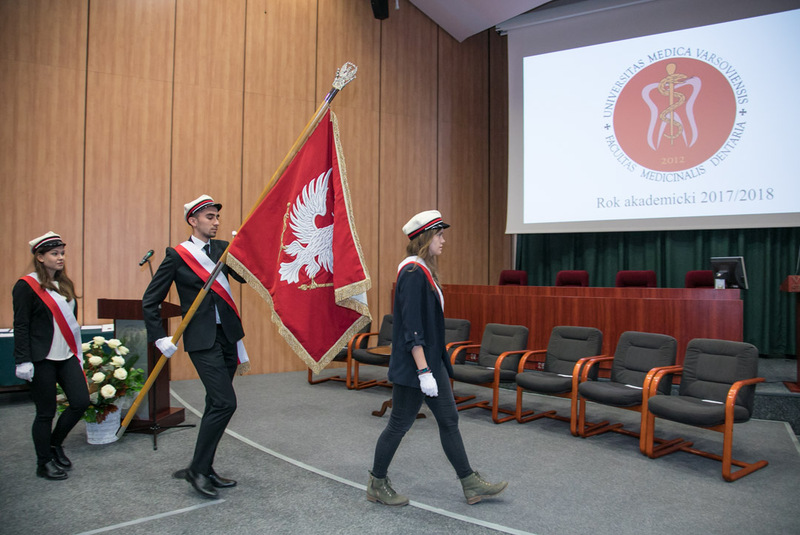 The ceremony was also an occasion to distinguish students who had the highest entrance marks and six new students who were called to become flag bearers during University official ceremonies. 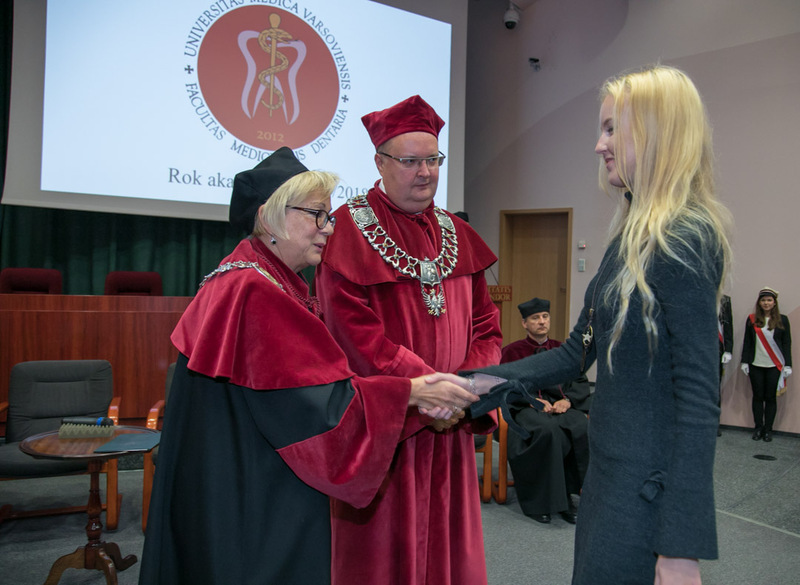 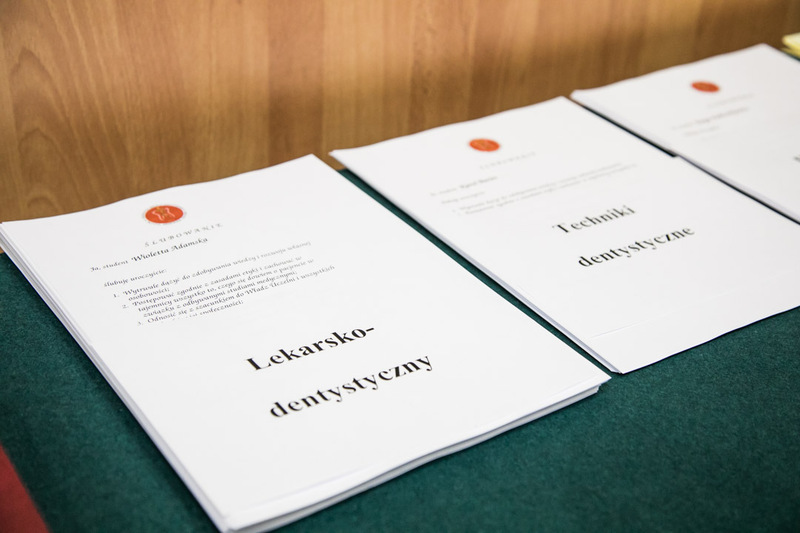 Prof. Dorota Olczak-Kowalczyk led the oath taking by the first year students; Prof. Sylwia Słotwińska led the oath taking by graduate students; and Prof. Kazimierz Szopiński led the oath taking by the new students accepted into the English Division Dentistry program. 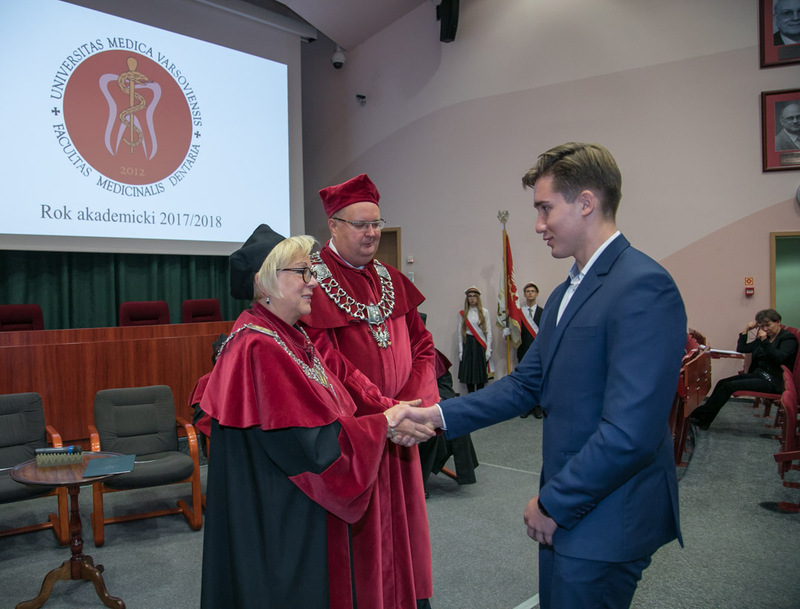 The president of the Medicine and Dentistry Student Government, Seweryn Bocheński, congratulated and welcomed the new students. 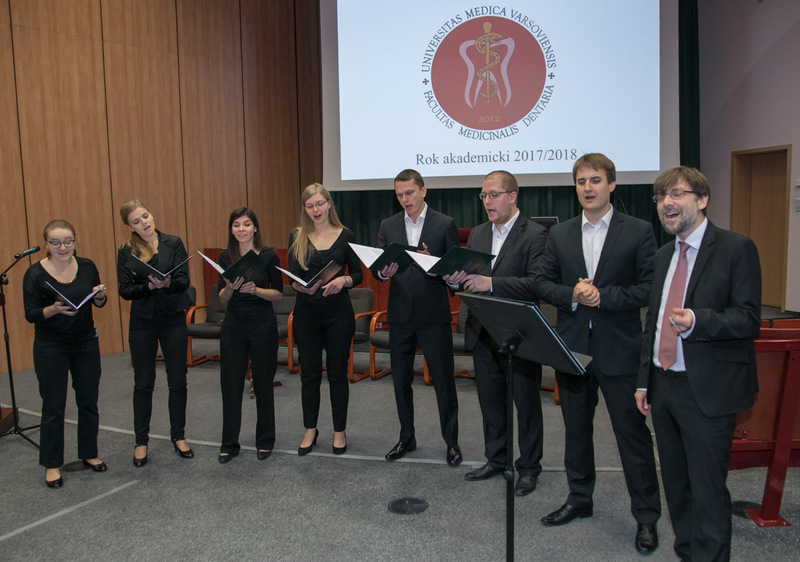 The ceremony ended on a special note with the University choir, directed by Daniel Synowiec, giving a wonderful performance of some classic rock songs.